A place to learn why your web site needs an icon, and a place to pick one up if you need help customizing one for your site. Hi there. 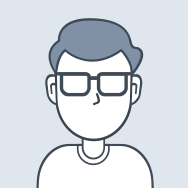 On this website, I'm Ozzie the Icon Guy (I also have other identities on other websites), and I want to explain to you about website icons, why you need one, and how to get one or even how to make your own. Sure, I'll try to sell you my services, but this stuff is too easy to do, and you don't really need me. If you don't spend money here, but feel grateful to me, there will eventually be a Donate Button to send me 5 bucks for a pint of Rocketman Red at the Playalinda Brewing Co. in my hometown of Titusville FL (bedroom community to the Kennedy Space Center). First thing, look above this web page. On most modern browsers, you'll find a Tab containing 1) the Title of his web page (just the domain name in Human Readable form for the search engines to pick up), and 2) a small image or Icon that represents the website you're viewing. On this web site, my Icon represents a Palm Treo smartphone. I created the image myself in Microsoft Paint. It's the Icon for my website PHonePHriendly.Com and since smartphones are a major reason to have an Icon for a website (I'll explain more on this elsewhere) it seems appropriate to use here. If your company has a logo Trademark, it seems obvious that it should be used as your. company's Icon. if your company's trademark is made up of words in a particular font, perhaps the Initials, would make a good Icon (look at what I did for SpaceFlightNow below, though their parent company in the UK hasn't gotten The Word yet). For my own personal webspace, SpaceyIdeas.Com, I hand drew a logo lightbulb, scanned it into the computer, and using Paint, cut out 1/4 of it to use as the Icon. It shows enough of my trademark to recognize it if you've seen it on my page, but the full image does not shrink well enough to be recognized if made the size of an Icon by itself. So look around, get ideas. follow links to icon sources (there's no disgrace in buying an appropriate icon from a commercial source, and it deals with the otherwise sticky copyright issues) and put a favicon.ico file into the main directory of your website. There it is. The Secret. The way to put an icon on your site. Simply name an image favicon.ico (it should be a bitmap formatted image) and place it in the directory where your website's index page resides. the web browsers themselves will do the rest. Download the desired icon, and rename it "favicon.ico". Then upload it to your Home Page directory. If you (or your company) needs an Icon that will show up in the Tab your web page comes up in, or that will become the Screen Icon when your web page is saved to the Home Screen of someone's mobile phone, call 321-Liftoff and ask for "Ozzie the Icon Guy". The logo to COlaunch, a co-work space in Titusville FL, where PHone PHriendly hangs it's corporate hat. An image found by Googling "museum" and clicking the IMAGE tab. An alternate Museum icon image found by Googling "museum" and clicking the IMAGE tab. Playalinda Brewing Company is a local Brew Pub in downtown Titusville FL. It's my local, and if you donate 5 bucks to thank me for providing my information to you, it's going to be poured into a 1 pint glass at The Hardware Store (within walking distance of my home). The Brix Project is 5 miles south on US-1. 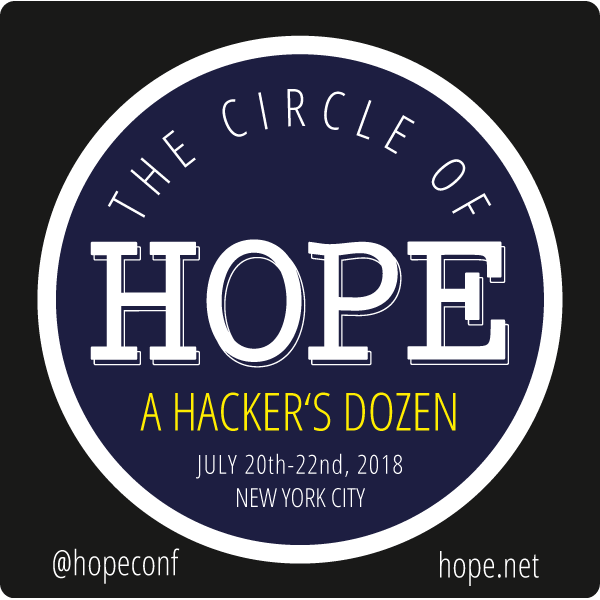 A Circle of HOPE, the Twelth Hackers On Planet Earth conference held by 2600 Magazine, (The Hackers Quarterly). Notice the way the circle logo was "cleaned up" for use as an Icon. The Orlando City Soccer Club is my primary Sports interest. An image found by Googling "Orlando City Soccer Club" and clicking the IMAGE tab, then playing in Paint. Have I mentioned yet that "Ozzie The Soccer Guy" was a Volunteer at World Cup USA 1994? Copa.Mobi is my web site for the schedule and scores of The FIFA World Cup Russia 2018™ . I clipped the top of the main image to use as the FavIcon. Say, have I mentioned yet that "Ozzie The Soccer Guy" was a Volunteer at World Cup USA 1994? Copa.Mobi will become my web site for the schedule and scores of The FIFA Women's World Cup France 2019™ . I clipped the top of the main image to use as the FavIcon. Say, have I mentioned yet that "Ozzie The Soccer Guy" was a Volunteer at World Cup USA 1994? This rocket icon was purchased for $1 at IconFinder.Com, so I don't have to worry about a copyright suit. The receipt for "work for hire" is in my email folder if I ever need it. An image found on the website, then played with in Paint. An icon derived from the Logo of the Escape Velocity Science Fiction Convention, and sent to them as a Gift from a willing Volunteer. Please choose the first digit of your city's ZIP Code. Here's a isMap that we developed for YN61.Mobi, a list of Yuri's night Parties around the globe. When the question is splitting 50 states and assorted territories into a Zero to Nine menu choice, the question becomes 'What is the first digit of your ZIP Code?' Check out how we use this one to choose places in the USA amongst 50 states and various territories. .
Kitbashed from icons found in-house (on my personal hosting site) (meant to show a hacker and a computer), then played with it in Paint. This is one of those "other identities" of mine thst I referred to elsewhere. An icon for Cingular Racing.Com, One of my NASCAR Fan Sites. funny where inspiration comes from, eh? I follow sponsors, not drivers. Here's The Story behind my NASCAR Sites (and how I got my interesting phone number). An icon for ATT31.Com, another one of my NASCAR Fan Sites. AT&T took over Cingular, and the NASCAR Team. After Sprint took over the top level of NASCAR racing, the cellular companies I used were no longer sponsoring cars, and I had to find another sponsor to follow, if only for one year. Ask.Com was NASCARS own Internet sponser, so I followed them for that year. GoDaddy is my Registrar, and Hosting Server company, but I no longer have the time to follow the team and maintain the site. An Icon for Space Frontier Operations. Brevard County, Florida has a great logo, and once I got a message to them reminding them of it, they put it up. Free transportation icons from the source of those icons you see in airports, bus and train stations around the world.